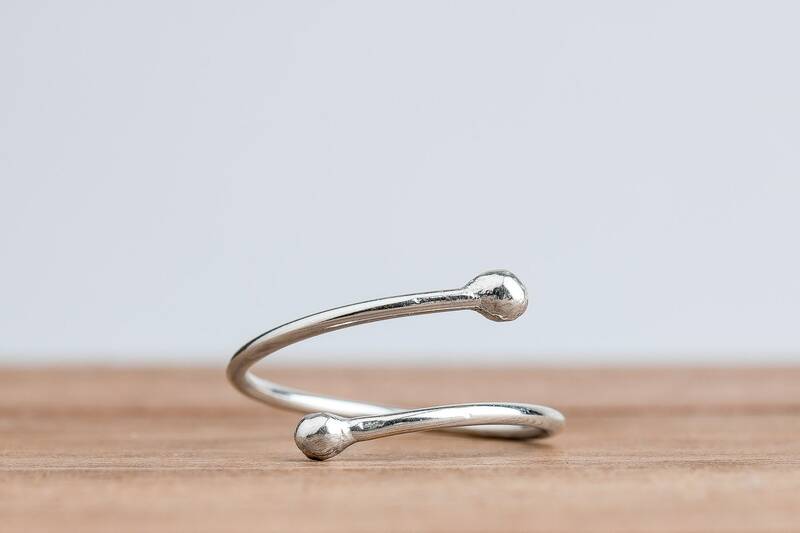 I have created this "Bypass" midi ring from solid Sterling Silver. 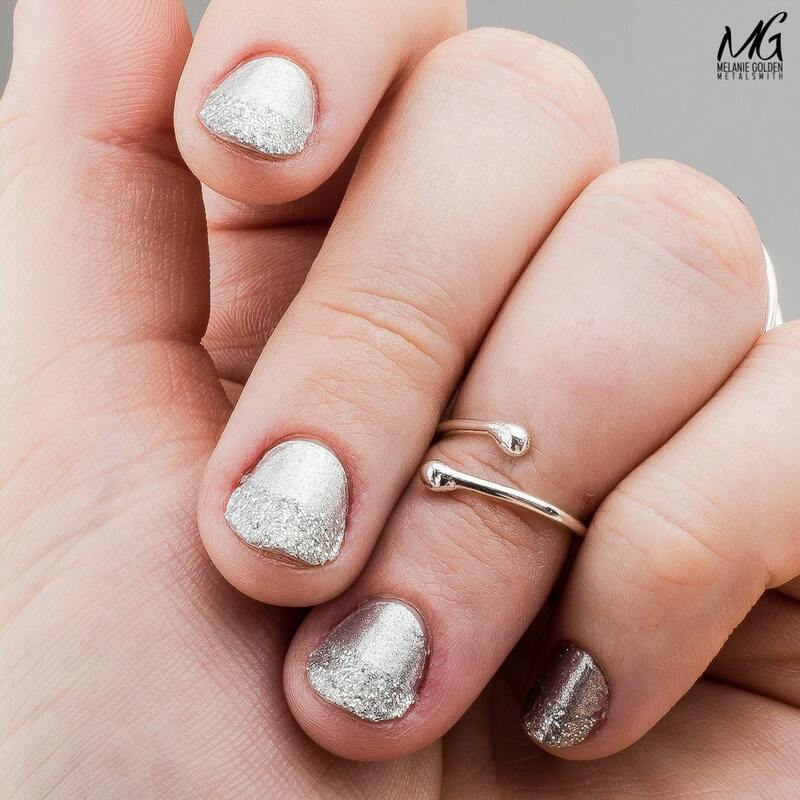 This ring is shined to a mirror finish and is a beautiful piece of jewelry that stands out boldly, while still remaining minimalistic. 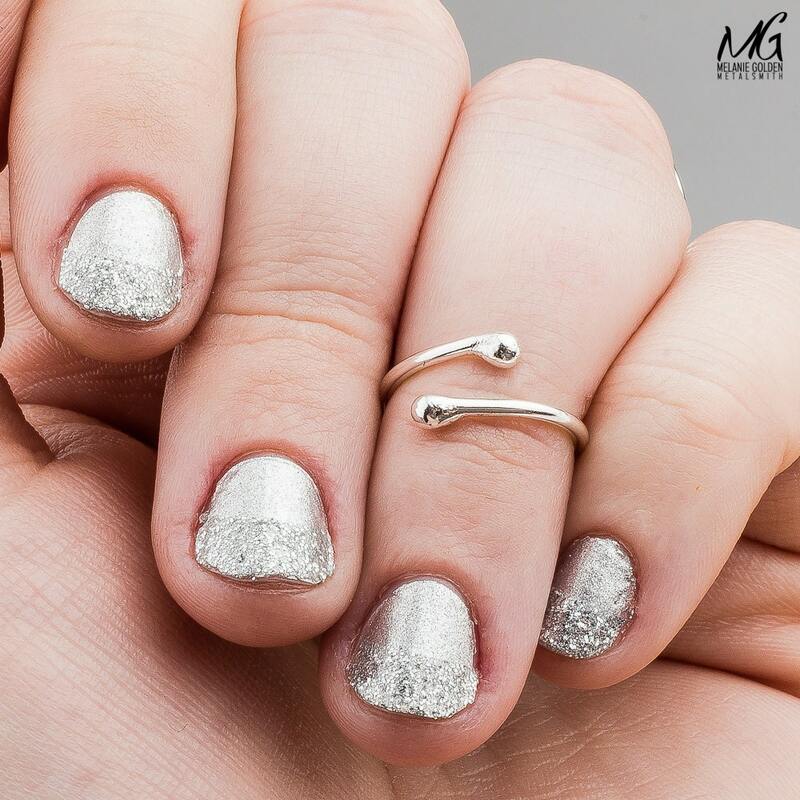 This ring is perfect for daily wear, and can be dressed up or down with ease. 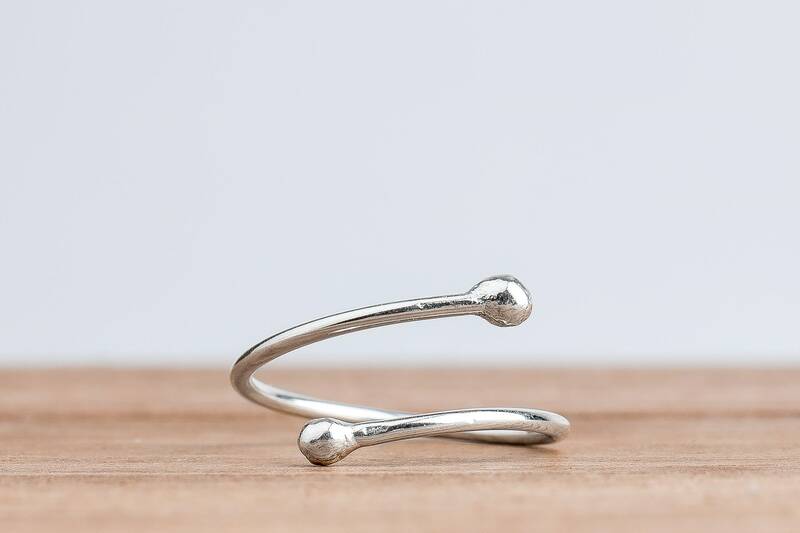 The ring is adjustable and holds it's shape well. This ring looks beautiful worn with some of my spiral rings (see photos). 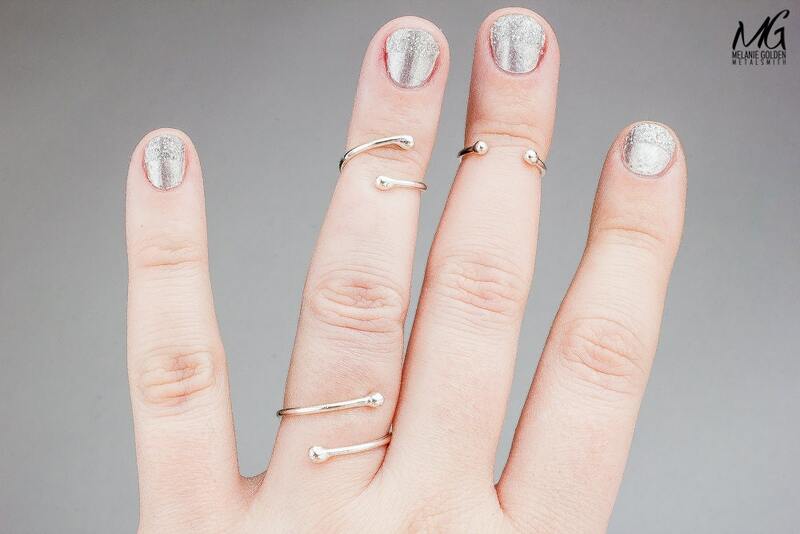 Four Midi Ring sizes are available, and the Midi Ring is adjustable. Choose your closest size match via the drop-down menu. Keep reading below to help find your size. - Choose your closest size via the drop-down menu. 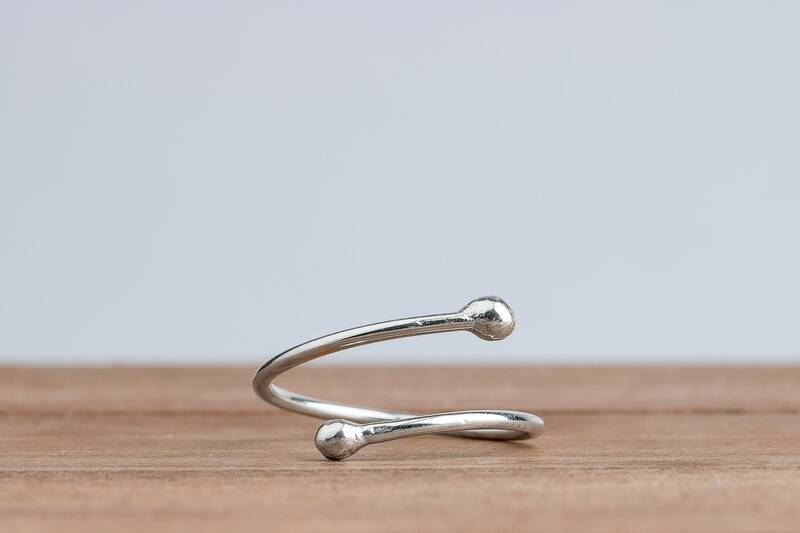 - Ring is made entirely from solid Sterling Silver. 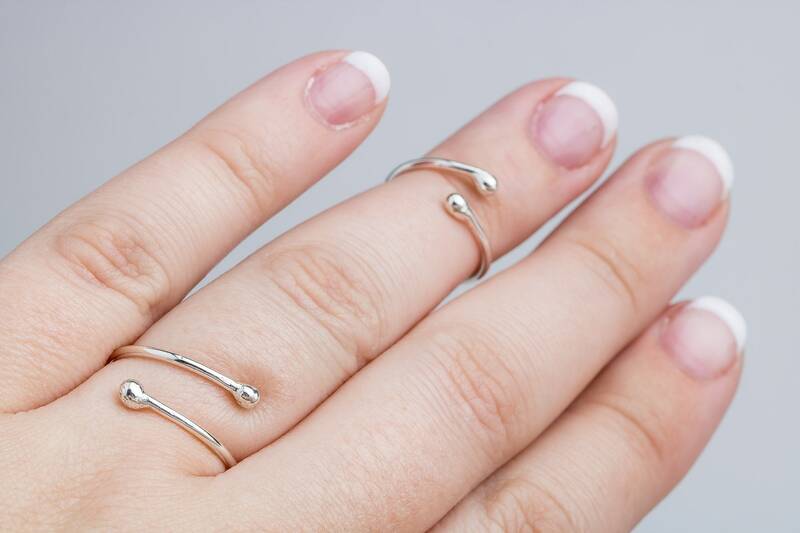 Midi Ring Sizes: Everyone wears a different ring size, which is why my Midi Rings are adjustable. 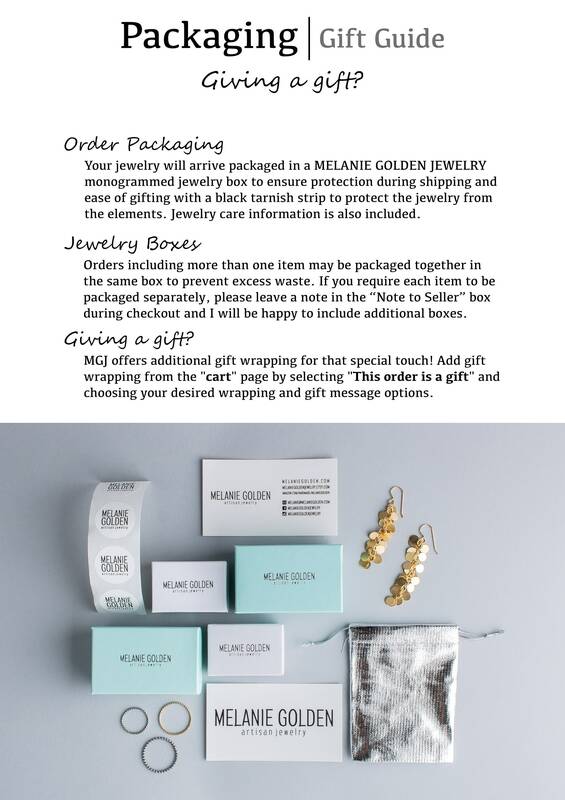 Even so, you should try to pick the closest possible matching size so that the ring fits and looks as it should. 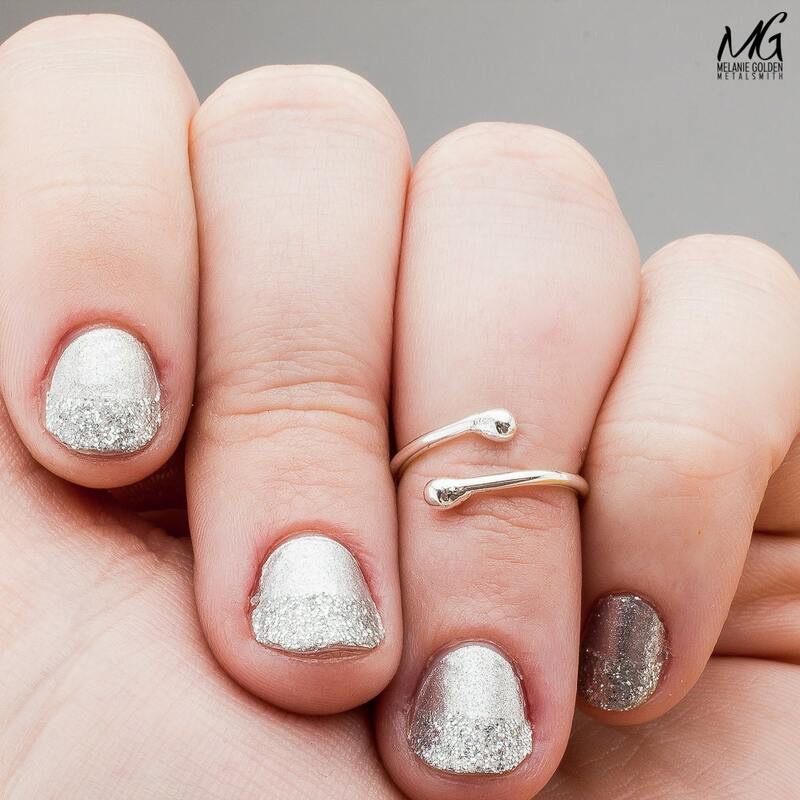 A normal size 6 ring finger would generally wear a size Small Midi Ring (2 - 2.5), whereas a normal size 8 ring finger would wear a size Medium Midi Ring (3 - 3.5).